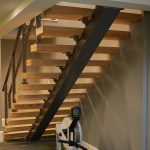 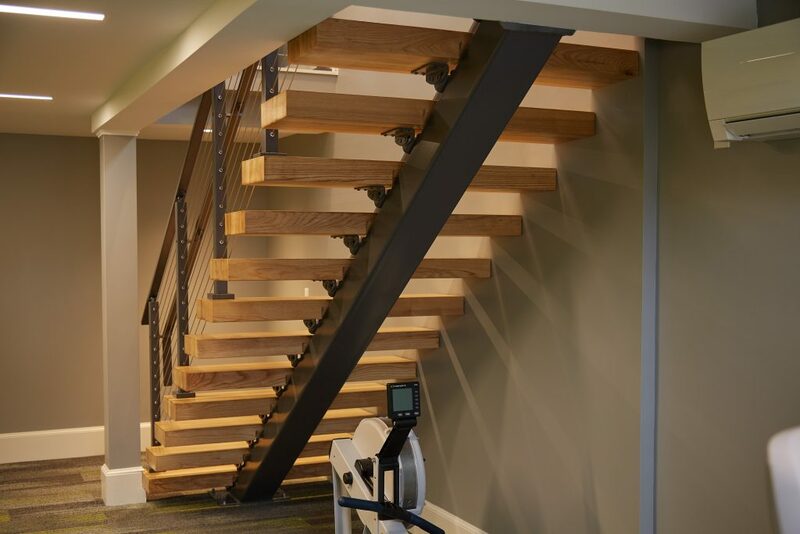 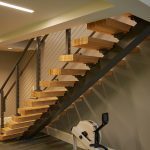 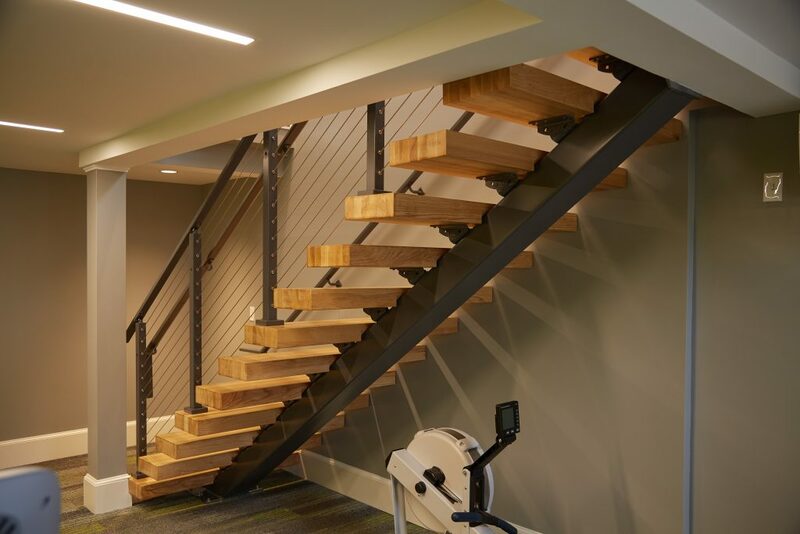 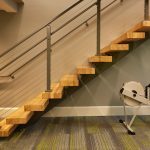 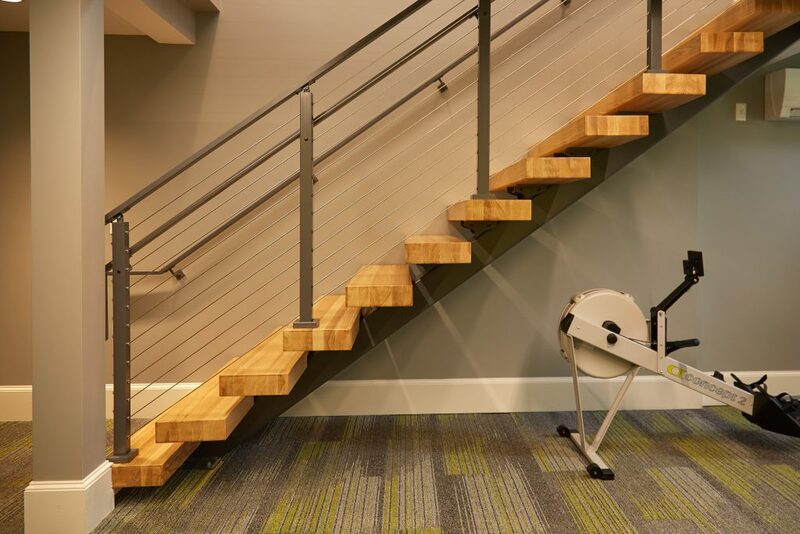 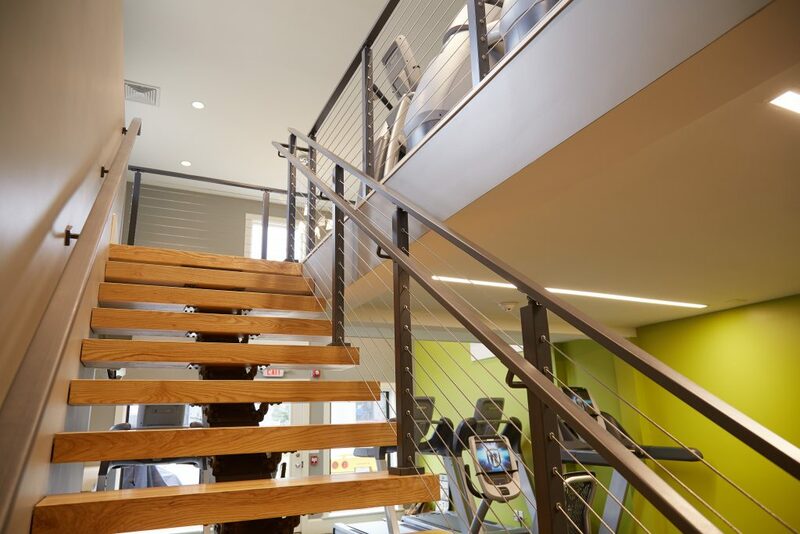 This floating staircase is the perfect addition to this workout facility with its thick stair treads made from high-quality ash. 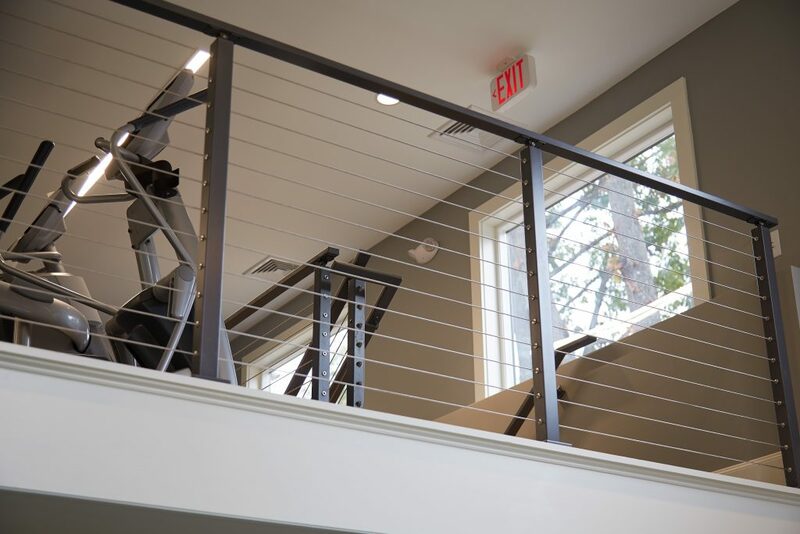 Graspable aluminum handrails run up both sides for extra safety and code compliance.The whole system is held up by a powerful, black powder coated mono-stringer. 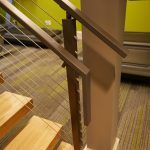 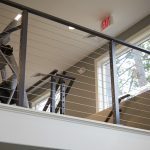 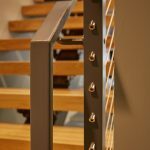 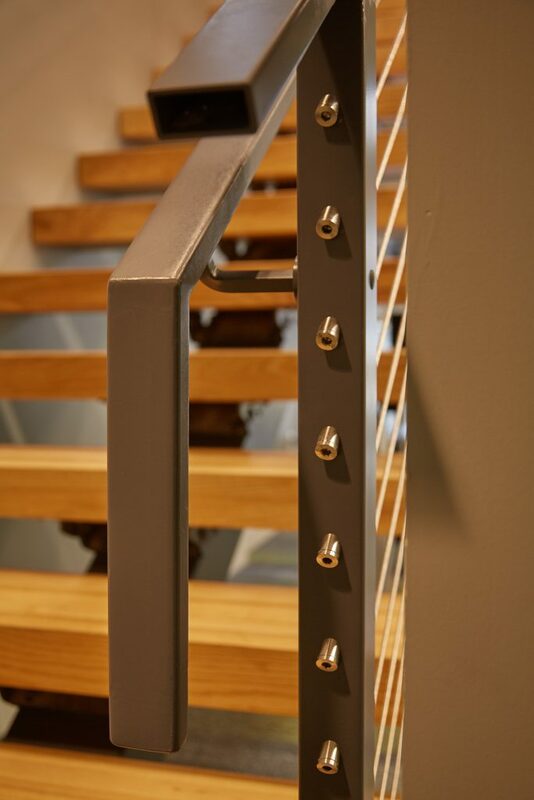 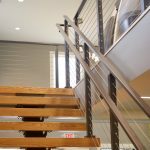 Up above, cable railing, aluminum posts, and handrail surround the second floor, so guests are able to see what the entire facility has to offer no matter where they stand. 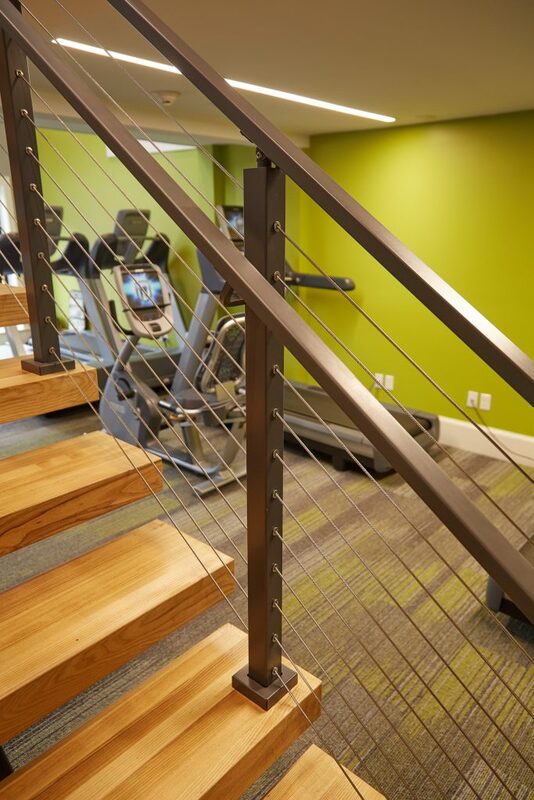 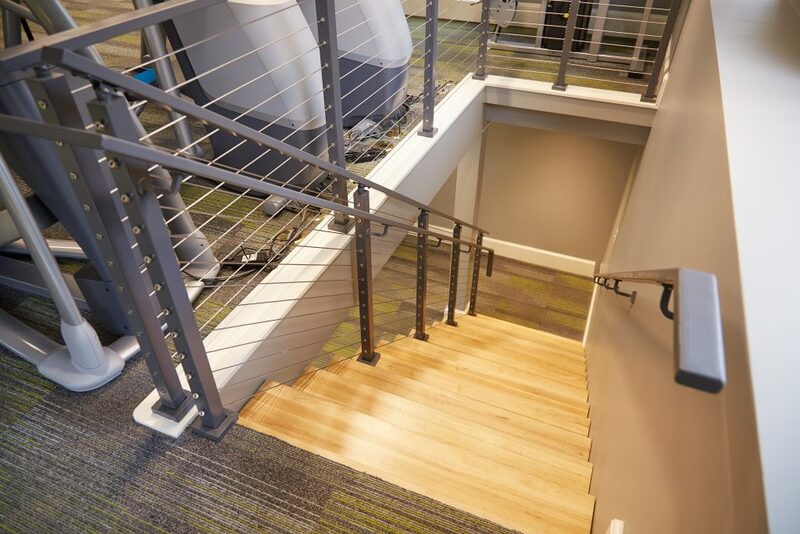 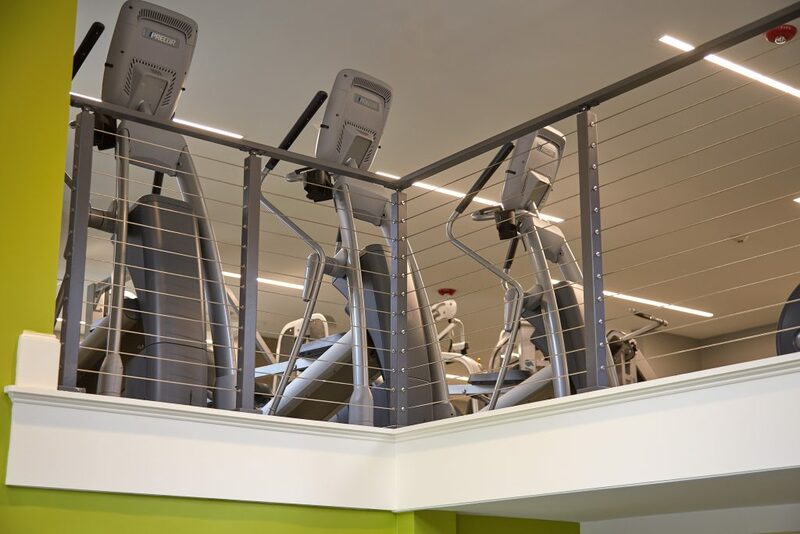 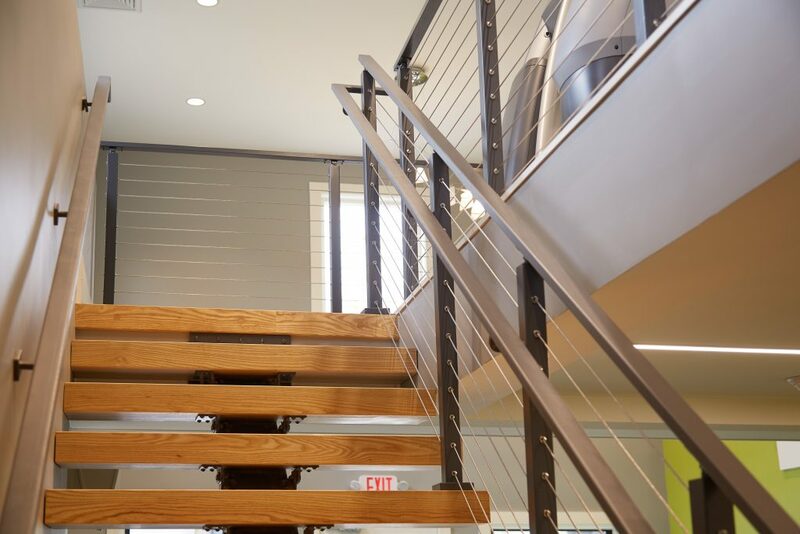 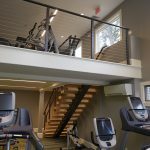 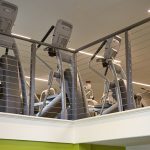 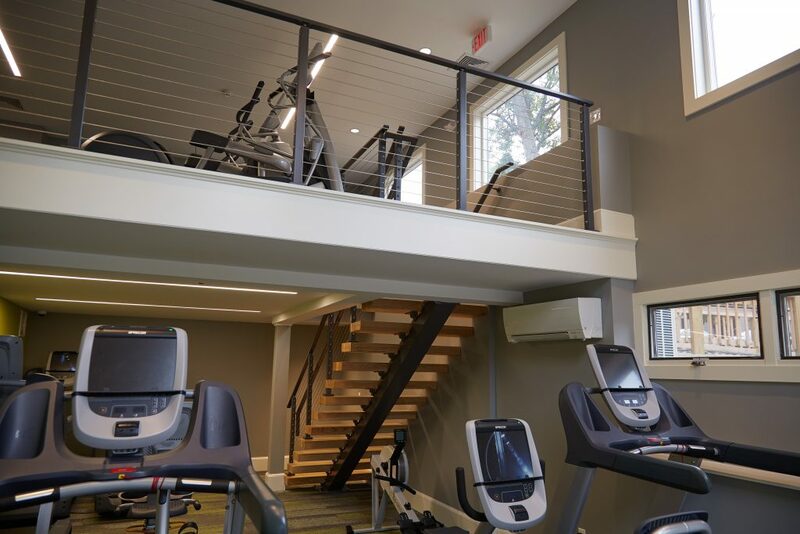 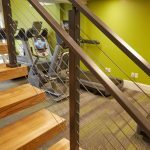 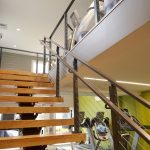 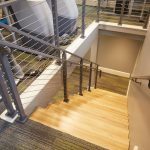 Floating stairs and cable railing combine in this commercial project for a sturdy system that will last through the everyday wear and tear of a workout facility. 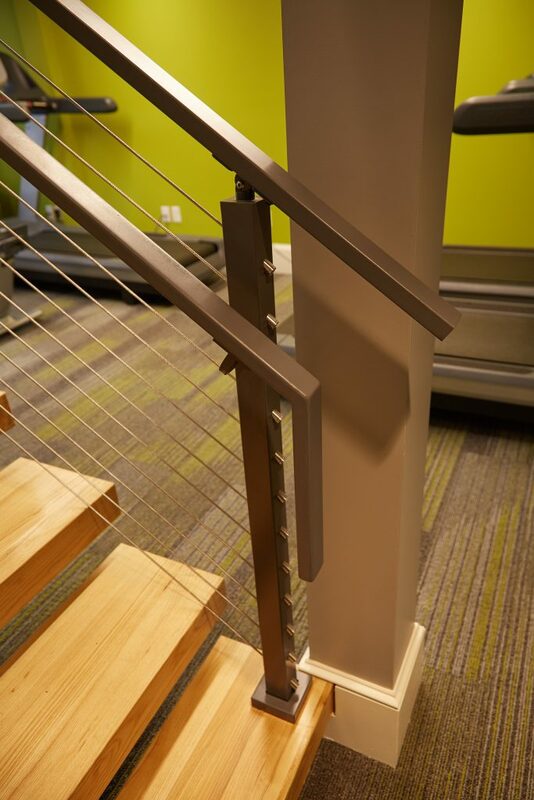 Safe, beautiful, and flexible.